On October 21, Hong Kong-based Bitspark announced the launch of the public beta of its cryptocurrency exchange. In a press release sent to CoinReport, Bitspark said it “provides the ability for our customers to trade multiple crypto-currencies in a secure, mobile friendly and easy to use environment.” The company said its exchange uses open-source code, has auditable reserves, supports many altcoins, and offers an intuitive API. Bitspark said its commitment to transparency and trust is underscored by its open codebase, cryptographically verifiable audits, and its backing by Cyberport, one of Asia’s largest tech incubators. In explaining his company’s genesis, Harrap said he has been a longtime Bitcoiner, having gotten into the digital currency toward the end of 2011. “I’ve been through all of the different stages that Bitcoiners have been through, if it’s mining, if it’s trading, if it’s lending, if it’s whatever else,” Harrap said. Harrap said Cyberport has an intake of a certain number of startups every three months, and Bitspark was lucky enough to get in and score at the top of the incubator’s latest batch. “At an incubator, you get 530,000 Hong Kong dollars, in matching funding, you get free office space, you get connections to the mainland, you get different events happening here all the time, networking opportunities,” said Harrap, who said it’s a good place to launch a startup and have support behind your venture, especially if you want to reach into new markets. “Hong Kong, being a financial hub, obviously there’s a lot of people involved in finance that are interested in Bitcoin. There are many people that work for banks, or perhaps they’re traders. They have a keen interest in Bitcoin as a financial tool. But there’s also people that are perhaps just curious..’what Bitcoin is all about. What can it do? What does it actually mean to you? 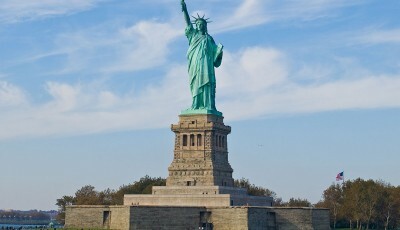 In an email to CoinReport, Harrap said Bitspark’s “priority is the emerging markets of Asia with our focus especially on remittances to the Philippines and Indonesia.” The latter country, in general, is a great market anyway, whether it’s for remittances or for Bitcoin adoption in general, Harrap said, noting a push in Bali of Bitcoin adoption at many of the tourist attractions. “In terms of trustworthiness, and transparency, what we’re trying to bring across is that we do have the backing of many entities. We try and provide our customers the means to trust that their money is safe with us. That, and we’re looking to bring Bitcoin to new markets. Hong Kong is a good bridge for many different markets in Asia. Bitspark’s exchange launched in limited beta last week with six digital currencies: Bitcoin, Litecoin, Dogecoin, Cloackcoin, Blackcoin, and Peercoin. Harrap told CoinReport that Bitspark looked to target first the altcoins that were traded in high volume, which was how Cloakcoin, Peercoin, and Blackcoin, the latter of which has a very vocal community, came to be selected. The company will be adding more coins in the short term (on Tuesday Bitspark added three new coins to its exchange: NuBits, Cannabis Coin, and Darkcoin), and will soon be unveiling a voting system where people can vote for which coin they’d like to see on the exchange. By the end of the year, Harrap said, the Bitspark exchange will have 50 different cryptocurrencies, in addition to at least eight fiat currencies. 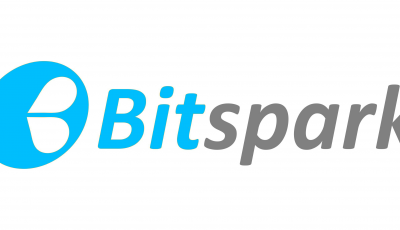 Bitspark’s existing suite of services includes Spark Pool, a profitability-based coin switching mining pool. Harrap said the company has five coins at the moment in the pool, and when someone mines one of the same algorithm, it will switch to a coin that is most profitable to mine. 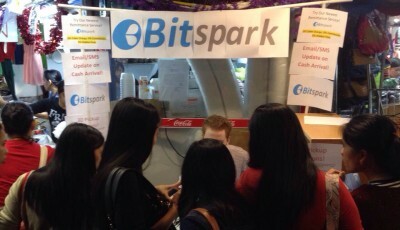 Harrap said Bitspark is looking to be an umbrella of different cryptocurrency services, offering an exchange and mining pool along with forthcoming merchant processing and remittance services. Spark Pool is based on Node.js and the exchange on Peatio, both of which are open-source platforms. Open source is the best way to provide transparency, Harrap said. 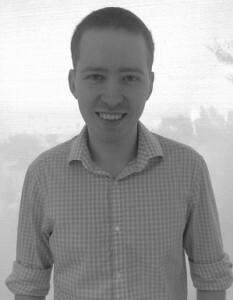 Among Bitspark’s objectives is bringing “financial freedom through virtual anyone globally.” CoinReport asked Harrap to describe what financial freedom means to him in this context. “I think it’s people have the ability to use Bitcoin and cryptocurrency wherever they are in the world, to do stuff with, whether that’s pay for things, whether that’s to invest, whether that’s to send money overseas. I think financial freedom is something that we, perhaps, take for granted in Western countries, which have a fairly developed financial system. Harrap considers Bitcoin to be a great technology, and is a firm believer in the ideas behind it, too. He spoke about the Blockchain, which he said can provide a number of service, one which perhaps no one has even thought of before. Harrap said making Bitcoin easy to use in the main thing in terms of getting the digital currency to grow. “For example, in remittances, I think that’s a huge market for Bitcoin to grow in. People don’t even have to know what’s happening behind the scenes. Big coin is the means of transmission,” said Harrap. Harrap, who studied hardware engineering and worked as a logistics manager in Australia, said he thinks he’s approaching Bitcoin “from a different perspective to perhaps some of the people here in Hong Kong [who] are more from a financial background.